As far as retro toys go, the pinwheel takes you way back in time! These spinning playthings used to be called whirligigs in 19th century America. 200 years later, kids are still getting amusement from watching the spinning colors twirl! 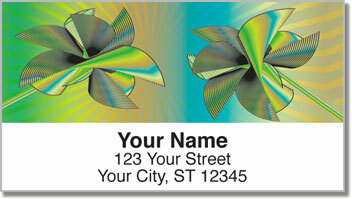 Retro Pinwheel Address Labels take a simple toy and give it spectacular makeover. 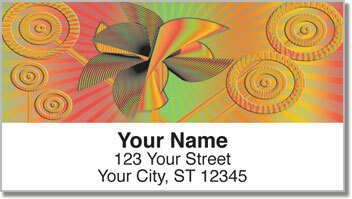 The prismatic pinwheels featured on this design are bursting with exciting energy. What a great way to give boring letters and packages a little pop! You'll find it's much easier to prepare your outgoing mail thanks to the convenient self-adhesive backing on these labels. 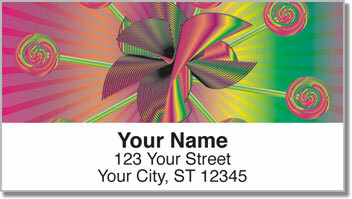 Plus, they can also be used to mark all sorts of items with your name and address. Just peel and stick! 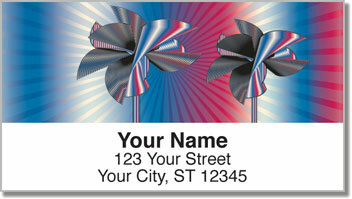 Get your own Retro Pinwheel Address Labels today!